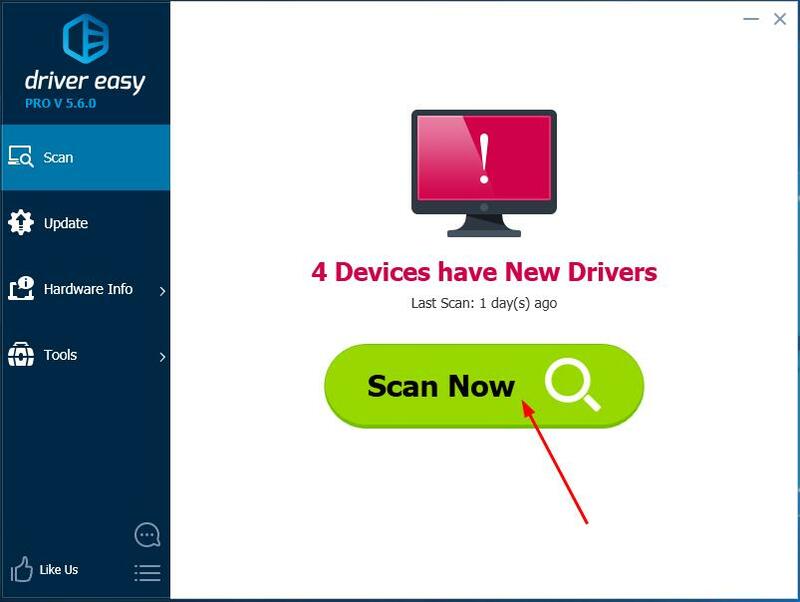 IMPORTANT: You need to log into Windows on the problem computer to try these solutions. If you can’t log into Windows due to the error, restart it in Safe Mode, then try these solutions. This dxgmms2.sys blue screen error could be probably caused by an old, corrupted graphics card driver on your Windows 10. You can probably solve it through updating your graphics card driver. 1) On your keyboard, press the Windows logo key and X (at the same time) to invoke the quick-access menu. 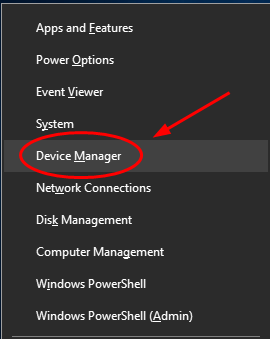 2) Then click Device Manager. 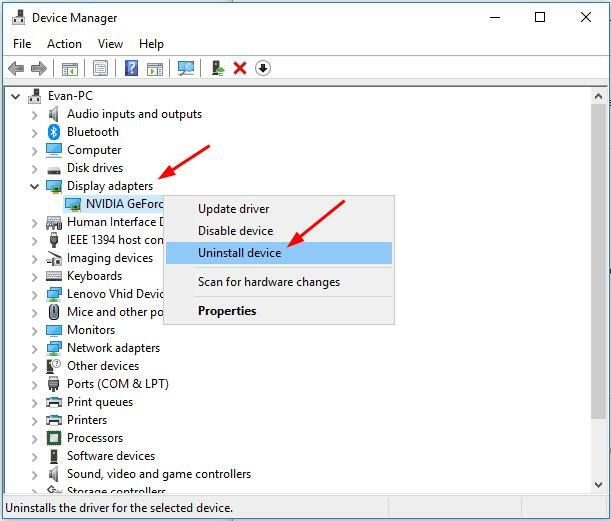 3) Right-click your graphics card under the Display adapters section. Then click Uninstall device. 4) Click Yes if asked to confirm. You have two alternative ways to get the latest graphics card driver: manually and automatically. Manually download and install the latest graphics card driver – You can update your graphics card driver manually by going to the graphics card manufacturer’s website, like NVIDIA, AMD, Intel, and searching for the most recent correct driver. Be sure to choose only drivers that are compatible with your variant of Windows 10. 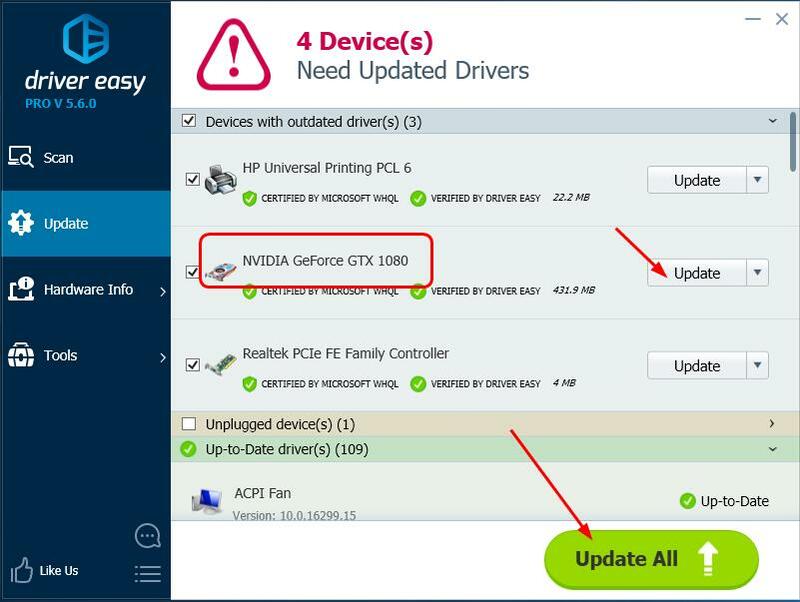 3) Click the Update button next to the flagged graphics card driver to automatically download and install the correct version of that driver (you can do this with the FREE version). 4) After updating drivers, please restart your computer to make the new drivers take effect. Check to see if the blue screen is gone. The hardware acceleration feature is widely used for maximize performance. But it may cause some error, too. dxgmms2.sys blue screen error is the one. So we can disable this feature to try to solve the blue screen error. In Windows 10, we don’t have access to change hardware acceleration in Settings. But we can disable hardware acceleration through editing Registry. 1) On your keyboard, press the Windows logo key and R (at the same time) to invoke the Run box. 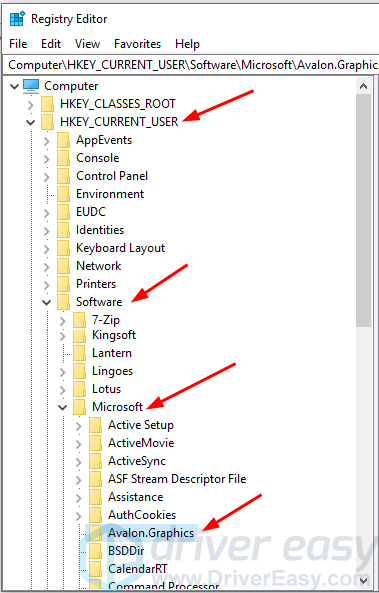 3) Go to HKEY_CURRENT_USER > Software > Microsoft > Avalon.Graphics. 4) Find DisableHWAcceleration on the right pane. Right-click on the blank area on the right pane and click New > DWORD (32-bit) Value and name it DisableHWAcceleration. 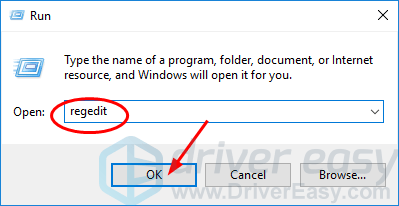 5) Double-click on DisableHWAcceleration and set its value to 1 to disable hardware aceleration on your Windows 10. Click OK to save the setting. 6) Reboot your Windows 10 to see if the blue screen shows again.